What Is Traditional Thai Yoga or Traditional Thai Massage (Thai Yoga Massage)? Thai Yoga is comprehensive, sophisticated healing arts derivative of Theraveda Buddhism, Buddhist medicine, Buddhist Psychology, Theraveda Vipassana Bhavana, Classical Indian and Tibetan Ayurveda and Yoga Vedanta. It is not required that one become a Buddhist to practice this healing art, though it is helpful to understand Buddhist principles. It is more accurate to call this medicine by its traditional names like “ancient, anachronistic or Old Thai Way of Healing with The Hands,” but the slang form, “Thai Massage” is in use, and as long as this is so there will be some understandable confusion. The type of traditional Thai Yoga therapy that most people will be exposed to is ráksãa thaang nûat (healing massage treatment). This is commonly known as the Nuat Thai or Nuad Boran styles of Thai Yoga therapy, spiritual massage, and healing work of Thailand. The primary outcomes associated with the practice of Thai Yoga are called ProMiiWihan Sii ( Brahmavihara) or four divine, boundless sublime states of mind; Love, Compassion, Joy and Equanimity. As long as these four qualities are communicated, transmitted and exemplified during a session, it is considered to be successful. For this reason it is possible to have a Thai Yoga session with little or no actual touching! In addition to the four divine states of mind we practice and perform Puja– a ritual healing process of prayer, affirmation and acknowledgement. We acknowledge the sacred space shared by client and Yogi, we honor and acknowledge the Bodhisattvas and progenitors of our way and teaching, and we “generate the Boddichitta,” the perfected mental processes of enlightened beings through Mantra recitation of OmNamoShivago, the Metta Sutra or anything else that invokes and invites the essence and energy of love and healing to move within ourselves and our client. This prayerful and thoughtful meditation attunes powerful energies and petitions the sacred and symbolic metaphors of deities, ancient guides, and role models that provide the basis for all further communication and expression of Promiiwihan Sii. The secondary outcomes are of lesser importance and may or may not share characteristics common to many forms of western massage such as effleurage (stroking and kneading the muscles), manipulation (manipulating or aligning osseous or skeletal parts) and pressure point or acupressure style technique (applying deep, consistent pressure to specific nerves, tendons, or ligaments and accupoints or Lom). In order to balance the functions of the four Dosha or body elements called thâat tháng sìi (Lom, Fai, Din, Naam), Thai Yoga incorporates elements of energetic and Prana assessment, mindfulness, gentle rocking, Asana positional release, deep stretching, focused breathing or Prana Yama, Chakra balancing, Prana Nadi or Sen line balancing and rhythmic compression to create a singular healing experience. There are several other significant lineages, teachers and Grand Masters. Most important is the Buddhist medicine derived from the famous Saint Shivago (Jivaka). 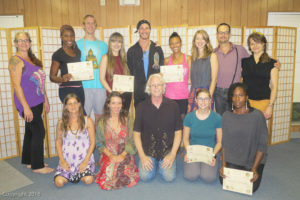 In the United States traditional lineage and teaching is primarily passed on via the educational programs of the Thai Yoga Center in Brooksville, FL. Additionally, we recognize all schools formally recognized by the Royal Thai Ministries of Health and of Education and The Union of Thai Traditional Medicine Society (UTTS) listed or not! There are actually quite a few different traditional “schools” of Thai yoga Therapy. They range from the big university driven or supported programs of Bangkok, to the “family” style oral and traditional lineages of Thailand’s Northern Hill Tribe people such as Karen, Lisu, Lahu, Mien and Akha People. Their influence is a growing factor in the modern expression of Thai Massage, especially in the North. Thai Yoga is a colloquial or geographically distinctive system. Modern Thai yoga Therapy is a synthesis of several different regional variations based on location, region and in some cases the specific influence of a charismatic teacher. Traditionally there was mention of the “Seven Schools”. Of course there was not in the past only seven schools! Considering this was the primary medicine of millions of people for over a thousand years it is logical to assume there were many different schools in operation at one time or another. For example, every temple teaching or practicing these healing arts could have been considered a school and there were hundreds if not thousands of these over the years. The most famous traditional school in the north is The Buntautuk Northern Hill Tribe Medical Hospital or “The Old Medicine Hospital.” Under the auspices of Grand Master Aajan Sintorn Chaichagun (Transitioned November 2005) it has become a national and international phenomenon. Teaching various levels of programs to Thai and falang (foreigner) alike, Aajan Sintorn was also famous for his daily recitation of the Pali Om Namo Shivago prayer and invocation for blessing. Twice each day he would lead the entire community in this rhythmic and beautiful traditional mantra for healing. In the north they say, “you don’t know Thai Massage until you know this mantra!” Today the Wat Po Association of Traditional Doctors, member schools and Aachans or Master Instructors are bringing this work into the modern world. Famous schools and their head Masters such as Anantasuk Rongrian under both Phaa Kruu Anantasuk and Aachan Nantipa Anantasuk work with the King’s Rajaprajanugroh projects to completely document the traditional medicine and preserve its rich heritage. Northern Thailand is closer to main land China so there is more Chinese and Laotion influenced massage techniques. For example, a well known teacher and practitioner in Chiangmai, Mama Lek Chaiya and her family teach what is called nûat jàp sên (nerve-touch massage), a Chinese-style massage technique that works with the body’s nerve meridians much like acupuncture. Some of the plucking techniques are reminiscent of Tuina and can be quite unpleasant. However, the ultimate aim of balancing the chi takes precedence over comfort! It is important to remember that any and all applications of physical pressure are intended to convey ProMiiwihan Sii to balance and harmonize the thâat tháng sìi and Tri_dosha or Three Winds, Humors or energetically based body types. Thai yoga is a sophisticated system of exchanging love with pressure, just as a hug can convey care, consideration and love with physical pressure. It’s just that in Thai Yoga that loving embrace is conveyed with great detail and sophistication. The practice of Thai Yoga is substantially based on principles of classical Ayurveda as described in the Caraka Samhita Sutra, Susrita Samhita Sutra, Gheranda Samhita, Atharvaveda, Pradipika, and Ramayana, without most of the overt references to Hindu deities. The philosophies and principles of these Ayurvedic texts have also been re-interpreted in Theraveda Buddhism. Two influential texts in the Theraveda system are the Buddha Dhama and the Vipassana Bhavanna. Ayurvedic practices emphasized in Thai yoga include Samkhya (Sanskrit= Satkhya), Creation Cosmology, Rajas, Satvas and Tamas, Dhatus, Doshas, Sen Lines (Prana Nadi), Lom (Wind Gates, Sanskrit= Marma), Pancha Karma, Asana, Prana Yama, and Mantra. Traditional Thai Yoga IS Yoga and has within it’s practice all of the benefits of Yoga practice. To read an outstanding article on 18 amazing benifits of Yoga, According to Science by Author Jen Miller Click Here! The four Thai Ayurvedic elements are: earth (din-solid parts of the body, including nerves, skeleton, muscles, blood vessels, tendons and ligaments); water (náam-blood and bodily secretions); fire (fai-digestion and metabolism); and air (lom-respiration, and circulation). Borrowing from India’s Ayurvedic tradition, some practitioners employ Pali-Sanskrit terms for the four bodily elements: pathavidhatu, apodhatu, tecodhatu and vayodhatu. The book “Lines, Wheels, Points and Specific Remedies” covers this theory in detail. Thai Yoga Massage and or Traditional Thai massage are systems of yoga therapy and all aspects Somaveda® Style Thai Yoga follow Ayurvedic and yogic principles. From the Ayudthaya period until early this century, the Thai government’s Department of Health included an official massage (Marma Cikitsa) division (phanâek mãw nûat). Under the influence of international medicine and modern hospital development, the responsibility for the national propagation/maintenance of temple based Thai Ayurveda was eventually transferred to Phra Wat Chetaphon (Wat Pho) in Bangkok, where it remains today. Traditional Yoga therapy has persisted in most of the provinces and there has recently been a resurgence of popularity throughout the country. The Wat Po system is divided into two completely separate and distinctive categories: the tourist massage pavilion and Tourist massage school, (Ronrian Sala Thaang Nuaat) and the School for traditional Medicine for training and certification of Maw Nuad (Massage Doctors). There are huge differences in the term and quality of training. For example, a tourist may receive an introductory massage certificate in as little as ten days, where the full program for Maw Nuad is twelve to fourteen semesters or four full years. In the United States we have many different levels of recognitions for Certified Thai Yoga/Massage Practitioners. The Royal Thai Ministry of Health relies on the Union of Thai Traditional Medicine Society (UTTS) to formulate and maintain standards of practice and competency necessary for formal licensing of secular, non-religious professional Traditional Thai Medicine providers in the kingdom. Within the traditional Thai medical context, a Thai Yoga massage therapist (mãw nûat, literally, ‘massage doctor’) usually applies Thai Yoga together with pharmacological (herbal) and/or psycho-spiritual treatments as prescribed for a specific problem or specific imbalance of the Dosha or winds and humors of the body, mind, and spirit. It is becoming quite popular for many Thais to also use traditional Thai Yoga as a tool for relaxation and disease prevention, rather than for a specific medical problem. However, once you leave the big city and move into the country you begin to see more reliance on the application as energy based medicine. This includes the resurgence and growing popularity of the self treatment regimes and Yoga practices of “Reusi Dotan” or Reishi Yoga. Traditional Thai yoga, Thai Yoga massage and or Thai massage is not the same as “Massage,” “Massage Therapy,” or “bodywork,” as commonly defined in so-called “Massage Laws.” The term “Thai Massage” is western slang, mostly promoted by tourists in Thailand. Although the use of the term is now common, it still is misunderstood and misused by the misinformed. It is easy to be confused when similar words are used, such as “Massage,” but legally there are distinctions and differences in definitions. Please note: In common English when we use the word “massage” we do not mean it in the same context as the typical western usage. In the west “Massage” means something like a “rub down” for money and is primarily referring to systems derived from Swedish Massage and Massage Therapy. “Thai Yoga and or Thai Massage” (Phaen Boran Ráksãa Thaang Nûat) is completely unrelated! Legally words can have different meanings than words used in common, non-legal language. For example, “Massage and Massage Therapy” definitions are based on the practice of “Swedish massage.” “Swedish Massage” is new (less than one hundred years) in European and American culture. According to the National Center for Complementary and Alternative Medicine “The term “massage therapy” encompasses many different techniques (see box for examples). In general, therapists press, rub, and otherwise manipulate the muscles and other soft tissues of the body. They most often use their hands and fingers, but may use their forearms, elbows, or feet”. Thai yoga massage sounds similar to Western-style massage at first glance, but what is not mentioned in the proceeding definition is that Thai yoga massage is a spiritually based system of healing and movement education (Yoga). It is based entirely on principles of energy balancing (Sen, Tri-Dosha, Lom, Chakra etc.) and the actual touching, contact or soft tissue manipulation is incidental to, and not the central aim of the practice! I want to emphasize this statement again “It is possible to have a Thai Yoga session with little or no actual touching”. However, touching is good! This work brings fundamental elements and energy into harmony and creates wholeness of mind, body and spirit. Where Can I Learn Thai Yoga and Thai Massage? NAIC Members are legally entitled to practice Thai yoga, Thai Yoga Therapy , Thai Massage in all fifty states with NAIC Membership and Authorization without requiring any special licensing. Of course that means as long as what is practiced is not in violation of existing medical laws or that the practice is under the umbrella of an expressive private membership association or recognized church or ecclesiastical authority or organization. We are happy to answer any questions that you have pertaining to the legal practice of our energetic and spiritually based art of healing and transformation. 2) The Thai Yoga Center: In the US today the traditional lineages of Thai Yoga Therapy and Traditional Thai Massage are passed on via the in Brooksville, Florida through the Mastery and teaching of Aachan Anthony B. James ND, MDAM. Aachan James, after 30 plus years of extensive devotion, practice and research brings several different and complimentary traditional lineages to life. 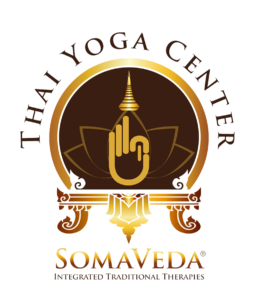 To learn more about the SomaVeda College of Natural Medicine and Thai Yoga Center Click Here! 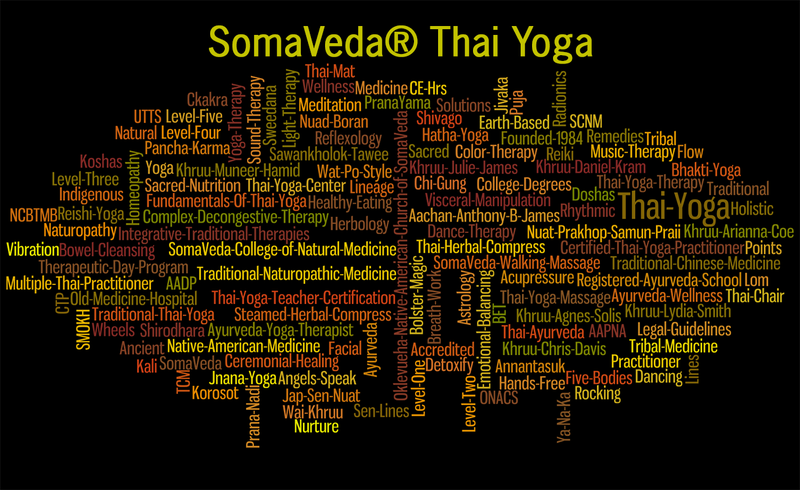 SomaVeda® Thai Yoga is the core modality of our four Certificate and five College Degree Programs. Other elements include but are not limited to Ayurveda, Traditional Chinese Medicine, Native American and Western Nature Cure or Traditional Naturopathy (Non-Drug, Non-Surgery, Non-Radiation or any dangerous, unsafe, invasive, non-natural therapy). The SomaVeda® Thai Yoga based Associate of Sacred Arts: Major Natural Wellness(SCNM: A.S.A) degree program qualifies graduates to sit for the ANMCB (American Naturopathic Medical Certification Board) Traditional Naturopathic National Boards. A Traditional Naturopath is considered by many to be at the top of the holistic pyramid. We have established a program to educate conscience and spirit based natural and holistic health providers and ministers of all types and levels in the traditional, spiritual based healing methods of Thai Yoga. If this all sounds interesting to you and you would like to experience SomaVeda@ Thai Yoga on a first hand basis, then consider taking one of our certification courses or joining one of our famous Thailand Externship Programs. We have been providing quality access to Thailand, Thai yoga massage and Thai Culture for over 30 years. Our programs feature extensive hands on massage training and internationally recognized certification as well as great exposure to the country and the people through our Eco-Tour, country survey style approach. Join us for the adventure of a lifetime! All Information is provided for educational purposes only and not intended to be used for any therapeutic purpose, neither is it intended to diagnose, prevent, treat or cure any disease. Please consult a health care professional for diagnosis and treatment of medical conditions. No infection treatment products are sold from this website and every attempt is made to make statements which are unbiased and are solely in the best interest of the members, public and patient.While all attempts have been made to ensure the accuracy of this information. 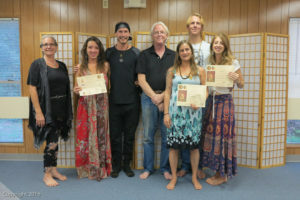 The author and ThaiYogaCenter.Com does not accept any responsibility for any errors or omissions. The information provided in this article and or website has not been reviewed by the FDA. The FDA specifically considers anecdotal information and or research to be unreliable and or non valid. Additionally the information provided in this article is educational and to some degree anecdotal and in no context or meaning is it implied by the author or the website that it be intended as a substitute for competent medical advise. Patients suffering from a severe medical condition are advised to consult with their physician. ©2017 Anthony B. James, The Thai Yoga Center, Brooksville, FL. Amazing Thai Yoga Therapy for the Hands! Ayurveda and Yoga Therapy have been practiced as a vital part of Thailand’s indigenous culture for thousands of Years. Thai Reishi Yoga or Reusi Dottan provide the origin for the Thai Yoga therapy for the hands. This is true Hand Yoga! Read moreAmazing Thai Yoga Therapy for the Hands! New comprehensive textbook on the Ayurveda and Thai Yoga of Thailand! 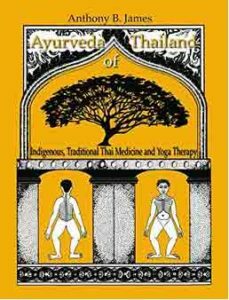 Ayurveda of Thailand: Indigenous Traditional Thai Medicine and Thai Yoga are part of what makes Thailand, Thailand. The Royal ( Court or “Southern” Style) is the most classical form. The book provides clear and concise instructions and details for the practice in a clinical setting. Over 160 photo and graphic illustrations present each traditional application in a logical format. Readers will especially appreciate the detailed and well researched history and medical anthropology of Thailand’s great contribution to the world heritage of indigenous, traditional medicine systems. Thai Yoga Therapy is on par with Traditional Chinese Medicine and others. It has become the nucleus of a new lifestyle and right livelihood for the thousands of US and Thai students, practitioners and teachers. Indigenous, Traditional Thai Massage (Indigenous Thai Yoga Therapy), also called “Ryksaa Thang Nuad Phaen Boran Thai” or the “ancient Chirothesia (Yoga Therapy) or hands-on healing” of Thailand, is born of a long tradition. This unique system of indigenous, traditional, natural medicine and Yoga therapy finds it’s ancient roots first in the traditions of classical Ayurveda as far back as the 5th century BCE. Subsequently, the Vedic health and medical practices eventually became common practice in SE Asia. Burma (Myanmar) and Thailand were heavily influenced by succeeding generations of Buddhist influence, philosophy and practice. Some form of this traditional medicine has been taught and practiced in various locations for about 2500 years. Trade Paperback: Only $19.95: To review or order the paperback order on Amazon CLICK HERE! Kindle Edition: Only $9.95: To review or order the Kindle version CLICK HERE! News Update! 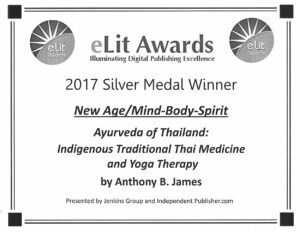 July 2017: Just awarded the 2017 Silver Medal Winner in the eLit Awards (independent publishing) digital publishing excellence in the “New Age/ Mind-Body-Spirit award category! 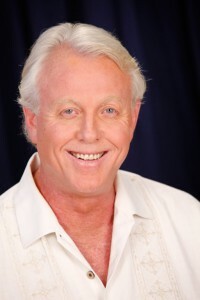 The outstanding credits of Anthony B. James DNM(P), ND(T, MD(AM), DPHC(h.c.),OMD, PhD,RAC,SMOKH include: Author, lecturer, Aachan and Master of Indigenous,Traditional Thai Medicine and Indigenous, Traditional Thai Massage, Traditional Naturopath, Medical Doctor(AM) specializing in Pastoral, Indigenous, Traditional, Natural, Native American and alternative medicine, Registered Ayurveda Clinician and Doctor of Philosophy in Indigenous Medicine. Over 20,000 students have gone through his SomaVeda Integrated Traditional Therapies® educational programs since 1984. 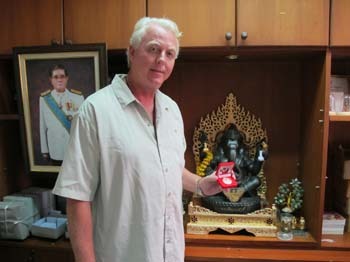 Honored by Royal Thai Government several times,TAT, Receiver of the Friend of Thailand award for Thai Medicine, Bangkok, Aachan and/or Master teacher and FIRST Westerner authorized to share Traditional Thai Medical Massage (Thai Yoga Therapy) in the west. By Anthony B. James DNM(P), ND(T), MD(AM), DPHC(h.c.), Ph.D., DOM, RAAP, SMOKH Academic Dean SomaVeda College of Natural Medicine and Thai Yoga Center (SCNM). The list of both clinical and anecdotal benefits and medicinal claims for Traditional Thai Medicine, Traditional Thai Massage and derivatives is quite long. In one article I posted I listed over 40 clinically verifiable benefits and an equal number of traditionally ascribing healing benefits. The challenge I am faced with today is that what is actually the practice or practices that when a benefit is claimed is actually the basis for the claim? More than this, what are the Thai Yoga Treatment Protocols That Work? By Anthony B. James DNM(P), ND(T), MD(AM), DPHC(h.c.), DOM, RAC, SMOKH Academic Dean SomaVeda College of Natural Medicine and Thai Yoga Center (SCNM). The Southern method Vinyasa (SomaVeda® Ayurvedic Thai Yoga: Level Two) offers the Thai Yoga practitioner a gold mine of breakouts and emphasis which can be accessed to bring relief and increase well being for an individual client. The Vinyasa (Yoga Therapy Flow) are divided up into five major attitudes such as the Supine Position, Side Lying Position, Prone Positio, Second Supine (Abdominal/ Leg Stretching) Position and Seated position. Thai Yoga Rocking into Dak Kha (Inward Bent Knee/ Hurdlers Stretch) is a transition from the Sao Nong (Raised Bent Knee) into the Inward Bent Knee posture in the Supine position… The reason I want to bring attention to this transition is the Rocking position is what we call a Master Release position. My definition of a Master Release position is any position or Asana that when done by it’s self long enough will effect a full body release and other benefits. Lets address the features of Headaches including, Chronic Tension Headaches, Migraine Headaches, Stress and Tension Headaches and headache type syndromes which may be mental, emotional and or energetic in origin and how Indigenous Traditional Therapeutic approaches. Specifically how SomaVeda® Thai Yoga Offers Relief for Headaches and Migraines. Where do we find this knowledge of the ancients? Much wisdom of the ancients has been passed down through countless generations in the religious, wisdom and medicine teachings of indigenous and traditional native cultures. Many different words are used to describe and define the diagnosis of what we generally refer to as “Headache Disorders“. Wikipedia’s International Classification of Headache Disorders (ICHD)(1) demonstrates clearly that Headache Disorder is more appropriately considered a syndrome as there are many types of headache classification and no singular set of symptoms and or causes. According to the ICHD there are at least fourteen different classifications which contains explicit diagnostic criteria. In my opinion a Headache Disorder is a non-specific term for medical problems affecting the head, neck and or shoulder region.